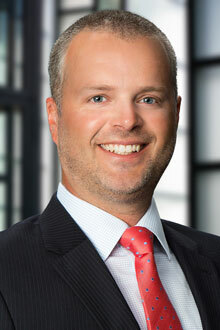 Matthew Nelson is the managing partner in the Charleston, West Virginia office of Lewis Brisbois and a member of the Class Action & Mass Tort Practice. As a member of the Firm’s Toxic Tort and Asbestos Practice - a talented group of lawyers who are widely recognized as leaders in the representation of manufacturers, retailers, suppliers and premises owners across the country, Mr. Nelson is entrusted with representation of clients throughout the country and in his home state of West Virginia. In addition to significant experience in mass litigation and toxic tort cases, Mr. Nelson has extensive experience in complex litigation involving catastrophic personal injury cases and commercial litigation. Recently, Mr. Nelson coordinated the investigation into the failure of one of the largest reinforced soil slopes in the world and defended the property owner in dozens of cases arising out of the failure. As national and regional counsel for a number of clients in toxic tort litigation, Mr. Nelson and his team are entrusted to coordinate and maintain an efficient, effective and consistent defense to reduce expenses, liability and exposure. Mr. Nelson takes time to understand his clients’ business and industry. He has interviewed hundreds of retired safety professionals, physicians, engineers and facility managers - investigating and understanding decades of history involving numerous facilities across the United States pertinent to current and future potential claims. Also, Mr. Nelson is currently active in defense steering committees designed to maintain order to dockets containing thousands of cases and to eliminate or reduce frivolous mass tort lawsuits. Mr. Nelson routinely assists clients in employment-related matters, including age, gender disability, workers’ compensation discrimination, wrongful discharge, sexual harassment, wage and hour, and workplace safety lawsuits. In addition, Mr. Nelson has significant experience in cases involving debt collection, data breach, and product liability. Finally, Mr. Nelson routinely represents companies and employers in the oil, gas and coal industries. A native Mountaineer, Mr. Nelson understands the extraction industries and their importance to the local and national economy.